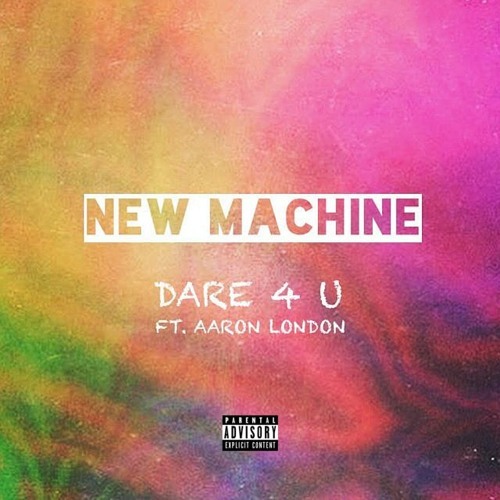 New Machine is Adam Jordan, London based Dance Producer/Artist and is also a Songwriter signed to Sony/ATV Publishing Music producer/artist New Machine and singer/songwriter Aaron London have come together to make the refreshing, Retro-pop song Dare4U. This will be the first ever solo release from New Machine and is the first time working with Aaron London, they’ve merge talents for what maybe a collaboration made in Alternative heaven. You may already know New Machine for his co write/productions with artists such as Plan B, Joey Bada$$, Maverick Sabre, Kwabs, Kojey Radical & Many More. you make KOJEY RADICAL "OPEN HAND" beat? It's got that Jai Paul feel. I dig it.